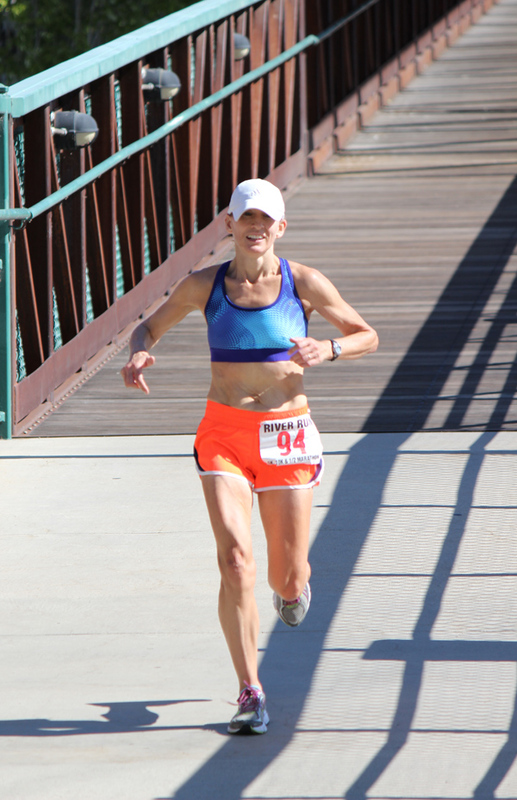 The River Run Half-Marathon, 10K and 5K begins next to Pybus Public Market on Saturday. The event attracted a record 351 registrants. WENATCHEE — Just three years ago, Brian Carroll had never run an official road race. Never. Then he dropped 80 pounds. On Saturday, the Ellensburg runner captured the River Run Half-Marathon in Wenatchee, showing off what is now a fit body and a determination to never fall back to the old days. And what convinced him to change his body shape? He got fed up with negative comments from others. 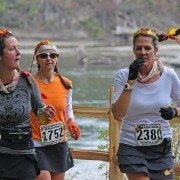 Carroll was among a record 350 athletes who registered for River Run, which also included 10K and 5K races. The three races began at Pybus Public Market, traveled on the Apple Capital Recreation Loop Trail in Wenatchee and East Wenatchee, and then finished in Wenatchee on First Street in the middle of the Taste of the Harvest Festival. Wenatchee’s Selina Danko captured the woman’s half-marathon, completing the 13.1-mile course in 1:35:35. Coming in second was Seattle’s Leah Lantow in 1:41:38. 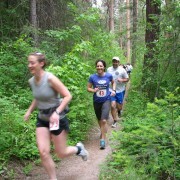 Third was Wenatchee’s Jenn Vazquez-Bryan in 1:41:52. 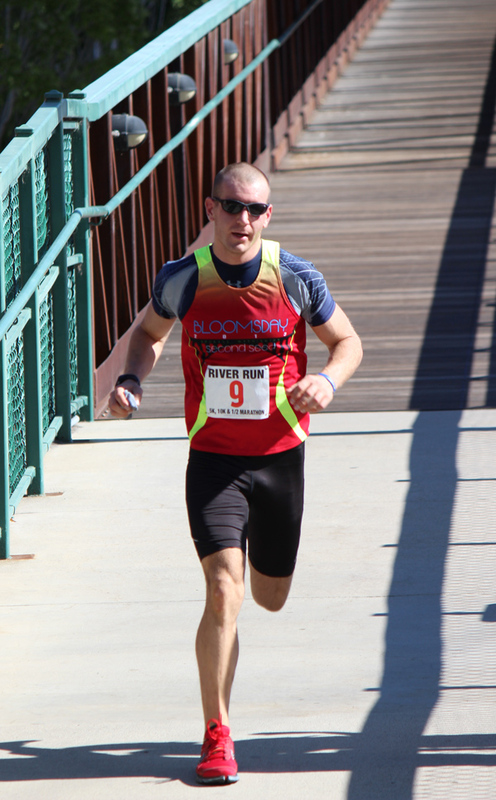 “It was great to run on the home course,” Danko said. In the men’s half-marathon, Carroll was followed by West Richland’s Peter Reece (1:39.27) and Roger Kirk of Kelowna, B.C. (1:40:15). Other winners on the day included Wenatchee’s Sarah Barkley (38:23 in the women’s 10K); Rigoberto Ramirez of Redmond, Ore. (40:19 in the men’s 10K); Wenatchee’s Casi Tarr (20:23 in the women’s 5K); and Cashmere’s Keith Miller (22:18 in the men’s 5K). For Barkley, it was just two weeks ago that she finished 26th overall and 12th among Americans in the Ironman 70.3 World Championships in Las Vegas. All three courses were new to River Run, which previously began at Centennial Park and stayed on the Wenatchee side of the Columbia River. Most runners gave the change a thumbs-up. 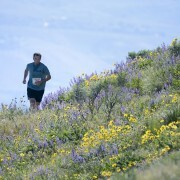 “You have little hills and then the downhills that match them,” Tarr said. East Wenatchee’s Christine Klingel said the views from the East Wenatchee side are gorgeous. “It was fast. We had the nice weather, although it was a little windy,” Klingel said. Not everyone was enthralled with the sunshine. Several half-marathoners, who were on the course for a much longer time than those doing the 5K and 10K, said the temperatures affected them. “It was warm,” Carroll said.